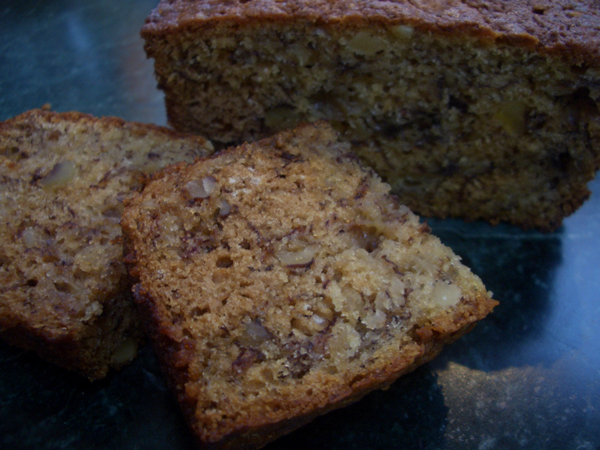 I love the versatility of banana bread. It works for breakfast, dessert, and is one of those all-around foods you can serve on its own with nothing before or after. Just a pot of tea and a few slices of this and you are set for company. It’s also sturdy and easy to transport, so it’s great for picnics or camping trips. 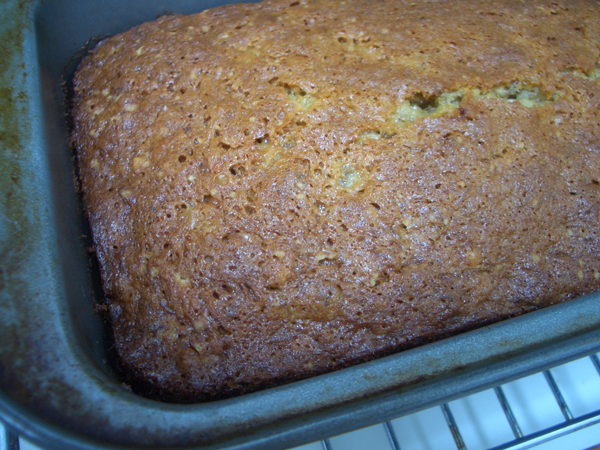 Note: You might have a pile of rotten bananas but no energy to make banana bread. The good news is rotten bananas freeze really well. When you defrost them they might be rather juicy. Add it–juice and all–to your bread. Sift the flour, baking soda, cinnamon and salt together. Using a standing mixer, a hand mixer or a bowl and whisk, whip the sugar and egg together until thick and light. 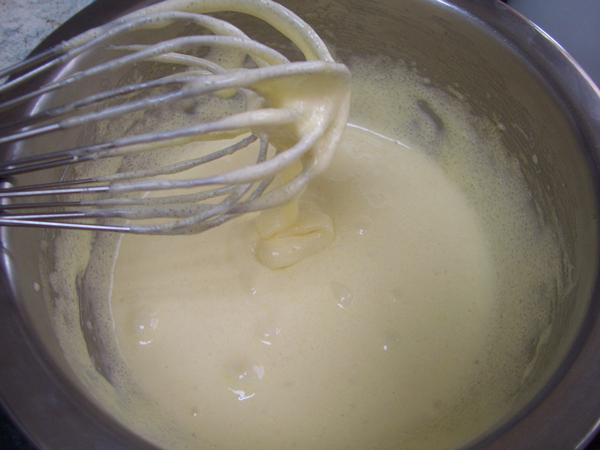 When you lift the whisk or beaters up, the batter will fall in thick ribbons. Slowly stream in the oil, incorporating a little at a time, whipping well after each addition. 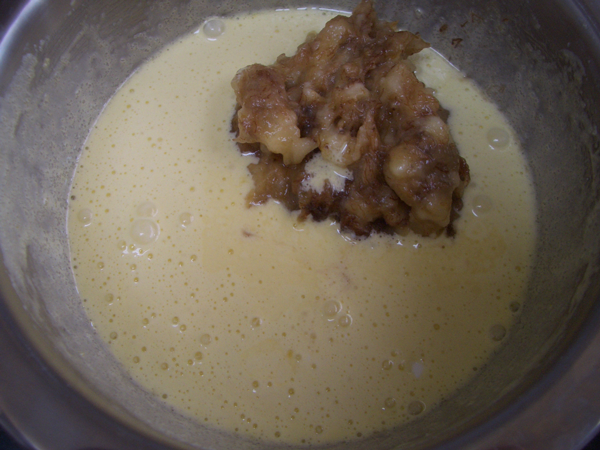 Stir in the bananas, sour cream and vanilla. Using a rubber spatula, fold in the nuts and flour. 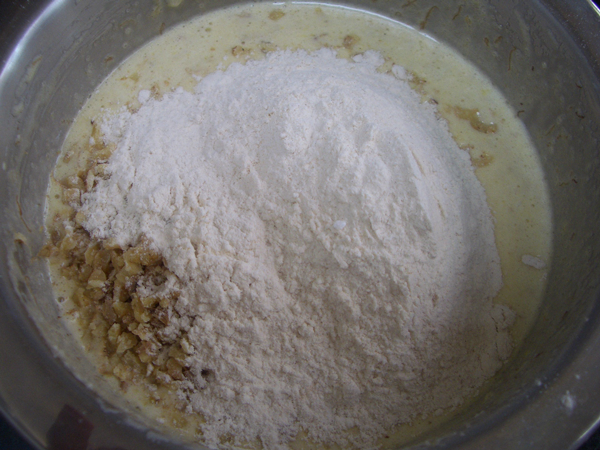 Add batter to prepared pan. 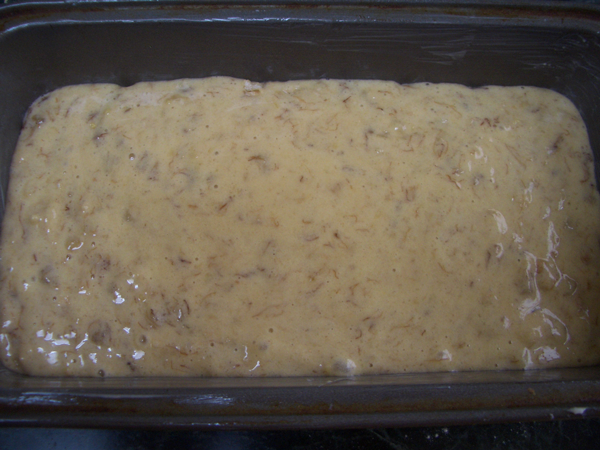 Bake on center rack for approximately 45 minutes until nice and brown on top. 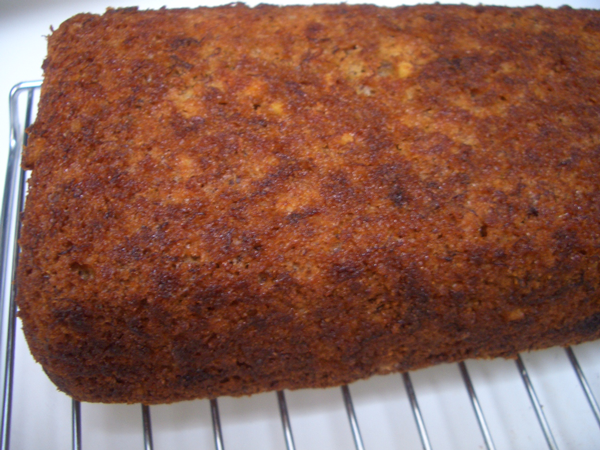 The bread will be pulling away from the sides a bit and will spring back when the top is lightly pressed. If you stick a toothpick into the center it won’t come out completely clean–if it did the bread would be overly dry. Run a knife around the edges of the pan to loosen and invert onto rack. If it doesn’t come out right away, hold the rack firm against the pan and give it a good smack on the counter. It should release. Cool completely before serving. Store in an airtight container.